Investors in Labuan, an important offshore jurisdiction in Malaysia, can easily set up bank accounts as soon as they identify their business needs if they are interested in the services offered by local, international, private or commercial banks. Opening a company in Labuan means setting up a bank account for which complete information can be received from our team of company formation agents in Labuan. Also, if you would like to open a Labuan trust company, our advisors can help. What are the necessary documents for opening a bank account in Labuan? • documents proving the address, such as utility bills but not limited to this. For the purpose of opening a bank account in Labuan, the chosen bank may request a set of tax information: for example the tax residence of the company, the tax identification number as well as information about the company directors. What are the conditions for offshore banking in Labuan? A company in Labuan can open both an onshore and an offshore bank account. The onshore account will be linked to a bank in Malaysia and will offer services like ATM withdrawals, debit cards, and internet banking. Offshore banks located in Labuan will also provide services suited to the needs of offshore investors, but in this case, certain services may be limited. It is also important to note that, depending on the chosen bank, the conditions for opening an offshore bank account will differ, in as that they may be more complex and/or stringent in some cases (mandatory bank account opening in person, higher initial bank account opening amounts and other requirements). The offshore bank account application is submitted with a chosen bank and investors may have to wait before the approval which will be entirely under the condition of the bank. Do I need to come to Labuan to open a bank account? Even though it is not mandatory, it is recommended to travel to Labuan to open a bank account. Foreign entrepreneurs will have the chance to know complete information about the bank and about the officer in charge with your account. If you are opening a company in Labuan and if you are interested in setting up a bank account in Labuan, our company incorporation specialists in Labuan can help you understand the requirements in this matter and can offer complete assistance when drafting the documents. Can I use multiple currencies with a bank account in Labuan? Yes, foreign entrepreneurs can have preferential currencies, in agreement with their business needs in Labuan. There are no restrictions in this matter, so business persons in Labuan can set up their bank accounts in multiple currencies: USD, GBP, EUR, etc. Are international payments possible with a bank account in Labuan? All entrepreneurs with a Labuan bank account can perform international payments in their companies without any restrictions in this sense. It is recommended to bear in mind the costs linked to foreign payments, as established by your bank in Labuan. What are some other considerations about opening a bank account and banking in Labuan? The tax rules in Labuan make are also advantageous for banking transactions not only for business purposes. More specifically, there is no withholding tax on interest paid by Labuan companies to resident and non-resident companies and there is no withholding tax on interest payments made by Malaysian tax residents to entities registered in Labuan. Confidentiality is high in Labuan and the account details are maintained as per the Labuan Financial Services and Securities Act. The banking tariffs will differ from one bank to another, however, some of the charges bank account holders in Labuan can expect to include the following: charges for transfers between accounts opened with the same bank, inward and outward telegraphic transfers, corresponding bank investigation or cancelation of a telegraphic transfer, account opening fees, service charges. Other services that may be offered by the bank can include fees for audit confirmations, courier and postal charges, issuing copies of payment instructions and other fees, especially when the account holder selects online and internet banking services (initial set-up fees, as well as monthly service fees, can apply in this case). Working with a bank in Labuan will mean that the customer has a set of obligations, among which complying with the requirements to notify any changes to the customer information given to the bank, usually within 30 days and to respond to requests made by the bank or its agents. 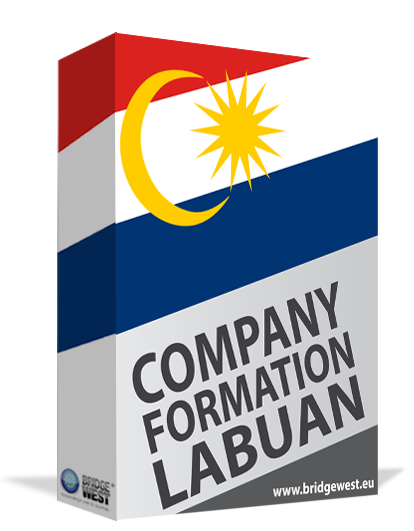 For this purpose, among others, offshore companies in Labuan are required to have a registered office and a secretary – the address of the office is used for correspondence and the company secretary can provide the liaison between the company owners and the bank. Banks in Labuan comply with the data protection regulations and most of them have an appointed Personal Data Protection Officer. Banks can set forth a number of conditions as far as corporate or partnership accounts are concerned. For example, the mandate used for opening the first corporate bank account for a Labuan company can apply to the other accounts opened after the first one, unless a separate mandate is issued for the other future accounts. When the account is set up, the names and specimen signatures of all the authorized signatories are given. Any changes in the signatories list are to be duly notified to the bank, as stated above within a certain amount of time, and the changes in the authorized signatories list will take place once the bank has confirmed the update, upon receiving the requested documents from the company. Banks in Labuan can reserve their right to suspend or close an account when they doubt that it is an authentic one or in the event of a dispute between the authorized signatories of a bank account as well as in case of a dispute between the company directors. When such an event takes place, the bank will issue two weeks’ notice to the customer. The conditions for opening a bank account as well as the services offered in case of corporate or partnership and individual accounts can differ greatly from one bank to another. Some banks and financial services providers in Labuan will not require the account holder to travel to the location when opening a bank account while others will make different requests for providing specimen signatures for account holders, especially for joint accounts. Talking to one of our Labuan company formation agents can be a good option once you decide to open a bank account so that you can receive the information you need about the banking conditions. We invite you to get in touch with our team of company formation representatives in Labuan for extra information about how you can open a bank account in Labuan.